Our first cat was a male British Shorthair cat, named Hugo. Then came our Persians, Oriental shorthairs and so on. 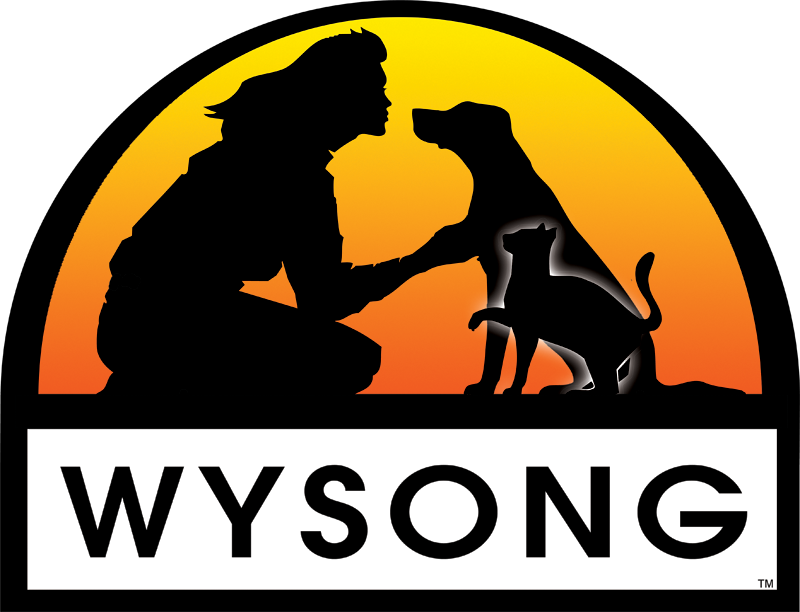 It was an amazing journey trying to learn more on each breed, on their characters, breed standards and behaviour. 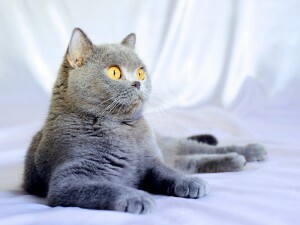 We are the first British Shorthair breeder in Singapore and will continue to produce outstanding show quality kittens for the cat fanciers worldwide. We started off with a pair of lovely silver tabby colour British Shorthair and went into the solid blue colour after that. With the support of respectable breeders from overseas, we have been told that we have the “purest” British line, from a judge’s mom who was a breeder and passed away in her 90s. The judge was trying to get back the lines but she told me it was not an easy task. Our British Shorthairs have done well in the shows. 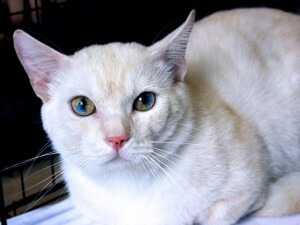 In September 2011, our GC Kaloofa Butterflyblue of Blue Crest got the “Best Cat In Show” in the CFA show in Singapore. 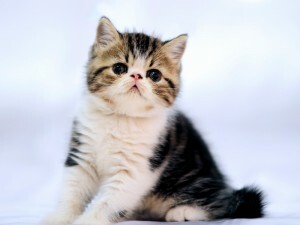 Along the way, we have our first Exotic Shorthair from our good friend – Ben Seow. 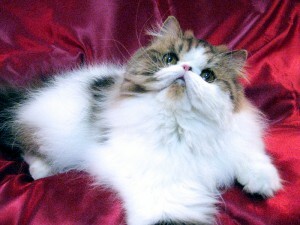 He produced some very nice Exotic kittens with our Persian – GC Versace Aphrodite of Blue Crest. The kittens are all in good homes now. Some of the magnificent photos of the kittens are in the kitten folders for viewing. 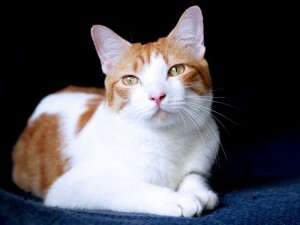 We have only one Japanese Bobtail which is a neuter. He is from Switzerland he obtained his Grand Championship title after showing in the Hong Kong Cat Show. He is now a retiree, helping to guard and watch the rest of the cats in our Cattery. 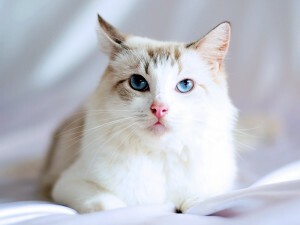 The Munchkin is a relatively new breed of cat characterized by its very short legs, which is caused by a naturally occurring genetic mutation; it is also new to the Blue Crest Cattery. The Munchkin is generally described as a sweet-natured, playful, people-oriented, outgoing and intelligent cat which responds well to being handled. The shortness of their legs does not seem to interfere with their running and leaping abilities. Our local-bred Oriental boy – Blue Crest Orient Secret Weapon has made Singapore proud by achieving the Divisional Award (DW Award) from CFA and ranked 12th Best Cat in the International Division (competing with all other breeds). He is the first DW and till date the only DW Cat in Singapore. 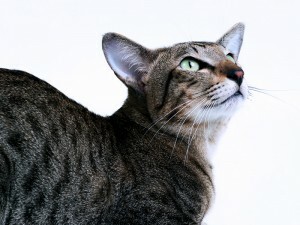 He is also the Best Spotted Oriental Shorthair, Best Oriental Shorthair in the International Region; and 7th Best Oriental Shorthair Worldwide during 2009-2010, awarded by the Oriental Breed Council of CFA. Most of our Oriental Shorthair kittens have performed well in local and overseas cat shows. To list a few, one of our female kittens – Blue Crest Matryon has won the “Best Kitten In Show” on 16th June 2013 at the Singapore CFA Cat Show, and our Oriental boy – Blue Crest Triton of Maz Esema is “Granded“ in just 1 show in Bangkok, Thailand in July 2013. We have some very good lines of Persians from various famous breeders. Our girl – GC, GP Sukai Lulu Only You of Blue Crest obtained her Grand Champion and follow by Grand Premier, became the first and only “Double Grand” cat of Singapore and Blue Crest cattery. If a dog is “man’s best friend,” then it must also be said that Ragdoll cats are “man’s best companion.” Our ragdolls came into our cattery by chance. The kittens produced have intense shades of blue that are favored in cat shows. The docile and floppy nature of our Ragdoll is a characteristic that is very much sought after. Our ragdolls come in various colours, namely seal, blue and cream with patterns like Pointed, Mitted, Bicolor and Lynx.